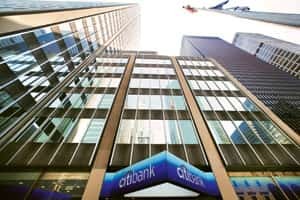 Mumbai: A senior executive at Citigroup Venture Capital International (CVCI), the private equity, or PE, arm of Citigroup Inc. for emerging markets, which has $7 billion (Rs35,000 crore) under management, says the firm has no plans to exit all its investments in India. “Most of the money in the fund we advise belongs to third-party investors. So, how can anyone ask me to exit investments?" said P.R. Srinivasan in his first interview after taking over as managing director (region head-India) of the fund about three months ago. CVCI has made some profitable exits this year, though Srinivasan said they were not intended to meet any cash requirements of its US-based parent. CVCI sold its holding in GMR Infrastructure Ltd at three-and-a-half times what it paid for the stake and exited Centurion Bank of Punjab Ltd (after it merged with HDFC Bank Ltd) at two-and-a-half times. It also sold part of its stake in pharmaceutical company Lupin Ltd at four times its investment, and Monnet Ispat Ltd at four-and-a-half times. There have also been exits from investments where CVCI did not make any money, such as Perlecan Pharma Pvt. Ltd, the research and development arm of Dr. Reddy’s Laboratories Ltd, and Oxigen Services (India) Pvt. Ltd, an electronic payment gateway. Given the state of the equity markets, CVCI’s existing India portfolio of 30 companies is also hurting. The value of investments is now about $1 billion, compared with $1.4-1.5 billion at the end of the last year, Srinivasan said. But he added that CVCI has already returned $690 million from its $1.6 billion Fund-I. So, what will be different at CVCI, now that he is in charge? “There will be more management buyouts," Srinivasan said. He has increased the team size to 10 since the departure of his predecessor Ajay Relan, and was responsible for the only two management buyouts the firm did during Relan’s tenure—broking outfit Sharekhan Ltd and digital cable and broadband service provider, YOU Telecom India Pvt. Ltd.
Srinivasan, who made his first PE investment in 1992 when he bought an 18% stake in information technology infrastructure management firm Microland Ltd for Technology Development and Information Co. India Ltd (the earlier avatar of ICICI Venture), said it is business as usual at CVCI despite the turmoil in the global financial system that has seen Citigroup lay off employees across levels and write down billions of dollars related to the subprime mortgage crisis. “Even on the pre-fund transactions, there has been no pressure to exit," he said, referring to the corpus that CVCI created from its own balance sheet when it opened its doors in 2001. It took the firm about four years until June 2005 to raise its $1.6 billion Fund-I, which is fully invested now, most of it from third-party investors. Citigroup added $500 million to the pool. In June 2007, CVCI raised its $4.5 billion Fund-II; this time, Citigroup contributed $1 billion, its employees another $200 million, while the rest came from third parties. From Fund-II, CVCI still has $3 billion in undeployed capital. “That’s where we are looking good. We will get better opportunities and higher returns now," said Srinivasan. The year so far, though, has been slow: CVCI made just two investments in Mumbai-based stock broking outfit Globe Capital Market Ltd, and Gurgaon-based auto components manufacturer Padmini VNA Mechatronics Pvt. Ltd. The focus now, said Srinivasan, will be micro. “In a bull market, you can afford to concentrate on sectors, like we were at one point on banking, and at another, on infrastructure. But in a bear market, you’ve got to be micro," he said. The crisis this time, though, is very different, he said, from the 1987 stock market crash in the US or the crisis triggered by the late-1990s failure of hedge fund Long Term Capital Management. “This is the crisis of our lifetimes. The world economy was on a debt overdose and is recovering from a near-death experience," he said, and explained why recovery will be slow. “After a near-death experience from a drug overdose, would you go for a rave party?" He is certain he will not see the Sensex, India’s most tracked equity index, trading at multiples of 20 times earnings any time over the next 15 years, as it had less than a year ago. “The index may go to 21,000 again, but that will be on reasonable price-earnings multiples of 12-14 times," he said. “That it went to 21,000 was a spillover from the Western economies, which were on ‘debt steroids’. Otherwise, we would have probably peaked at lower levels, say 15,000. But since we overshot on the upside, the fall will also overshoot on the downside," he added. “Prepare for hard times," is the message he has been sending out to portfolio companies, advising them to focus on productivity, savings and efficiency and not on growth at any cost.